Well one word for the last challenge: WOW. The detail you managed to capture in your portraits is amazing! 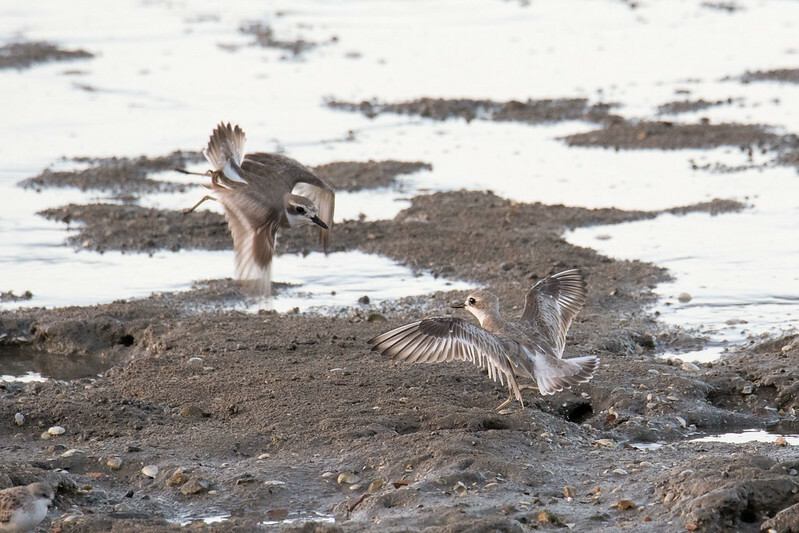 For this challenge I was inspired by the new BIBY surveys on Birdata - one of the new functions we've added is the ability to record bird interactions - so the challenge for the next few weeks is "Feathered foes". Let's see those images of birds that might not be getting along. If you have a bit of background on the moment, even better! Was it over food? A nest? Or for no particular reason? Here is one to kickstart it off. 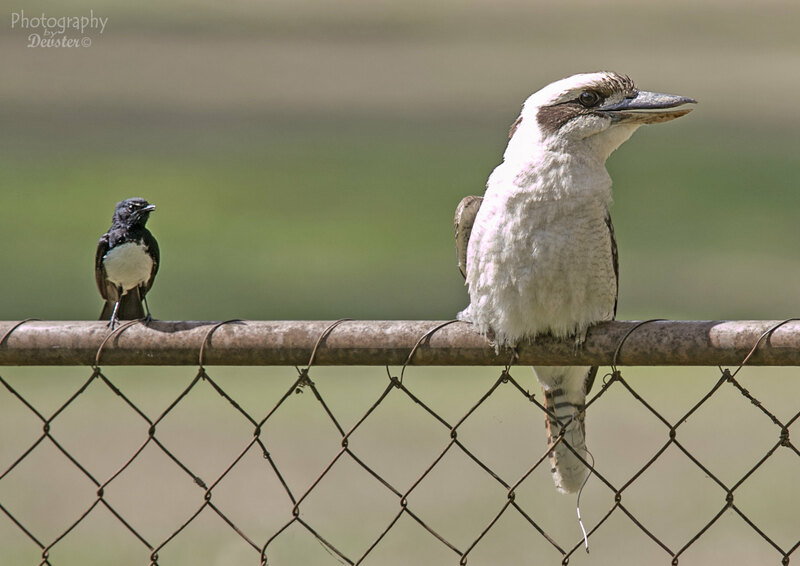 The Willy was harrassing the Kookaburra just because he could see it. After constantly going at him for 5 mins he stopped for a short break before chasing the Kooky off. They are persistant little buggers. Not the best quality but quite an impressive interaction. This Sulphur-crested Cockatoo had been screeching at and harrasing this Australian Hobby. The Hobby moved to a new tree, but the Cockatoo followed and continued to carry on. Finally the Hobby had had enough... He took off, kicking the cockatoo over, leaving it hanging by its feet while the he streaked away into the distance. 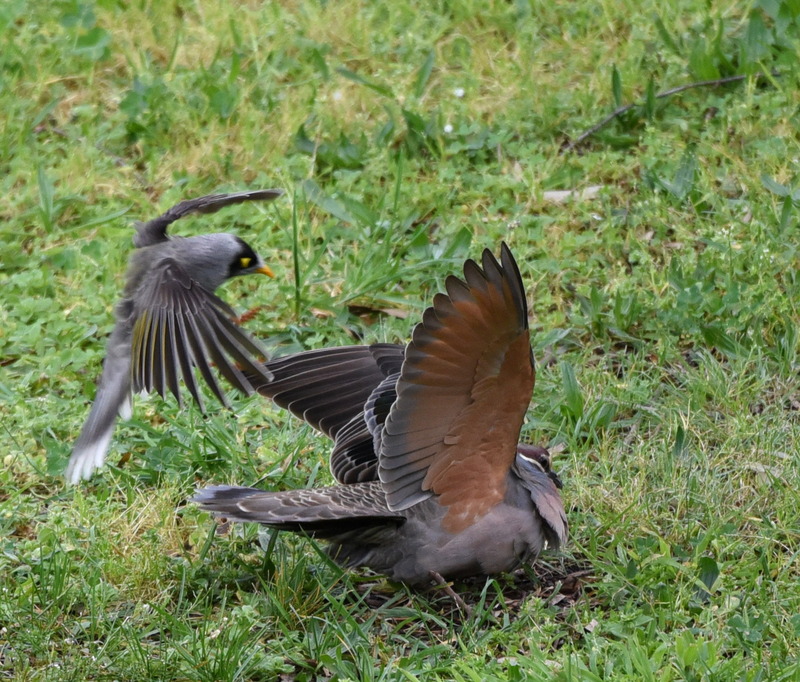 The Noisy Miner was being very aggressive and territorial. But the Common Bronzewing would not be moved. 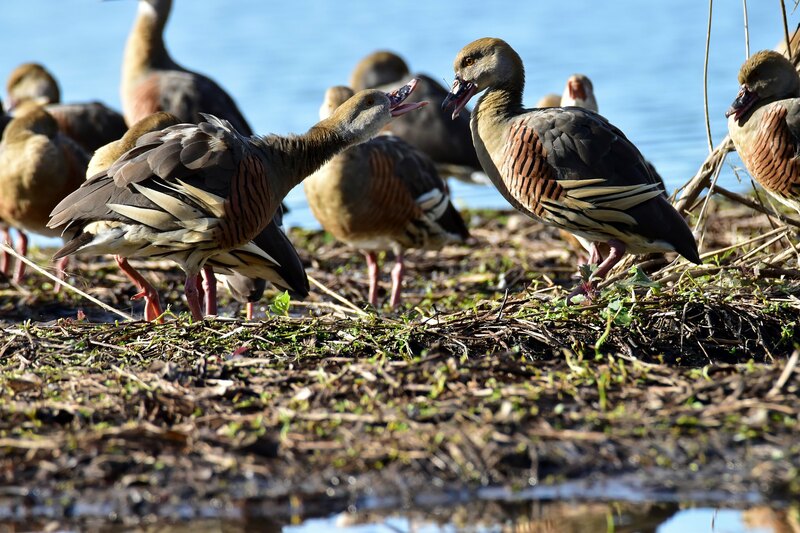 Plumed Whistling-Ducks having a difference of opinion. This Osprey was not impressed with his much larger counterpart the White-Bellied Sea Eagle and drove him/her out of his/her territory. 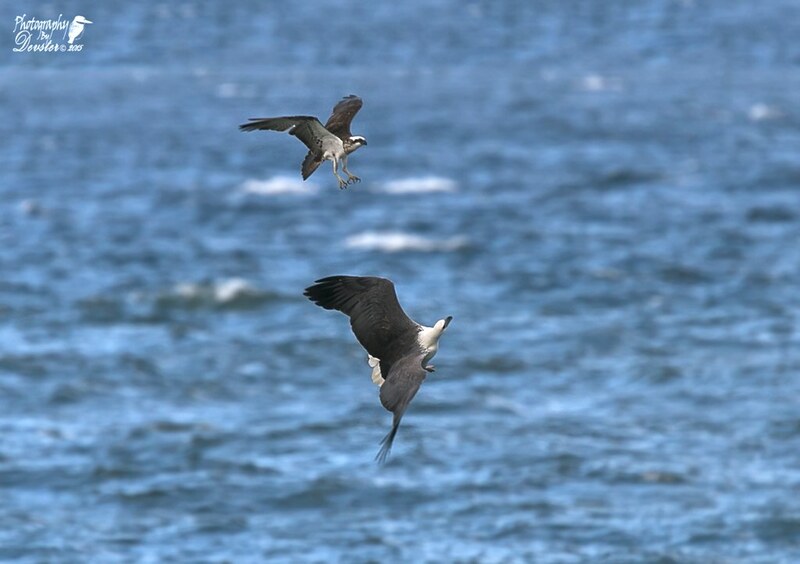 The WBSE had to keep going upside down so the much more agile Osprey didn't sink those talons in. The usual argument over who gets to go first at the neighbours scraps. Blue faced honeyeaters fighting over nesting material. One group were stealing coconut husk from my wife's hanging baskets and the other group were stealing it from the other groups nest. This is the moment when both lots of thieves met. 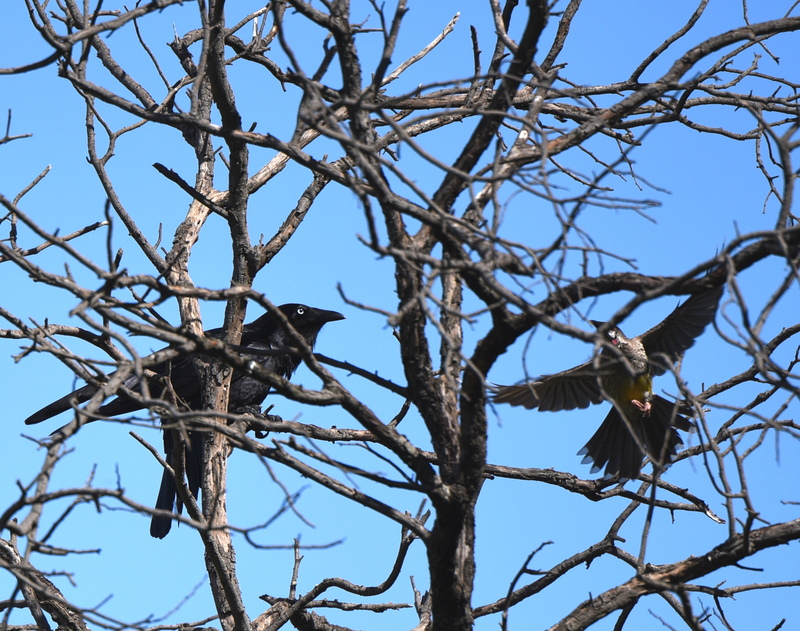 This Red Wattlebird was not exactly rolling out the red carpet for the intruding raven. 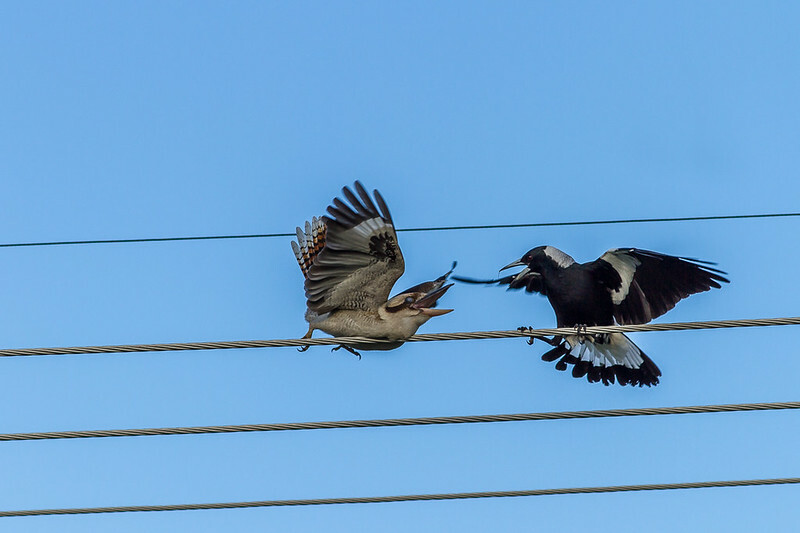 Magpie harassing Sea Eagle at Woodgate Beach Qld. 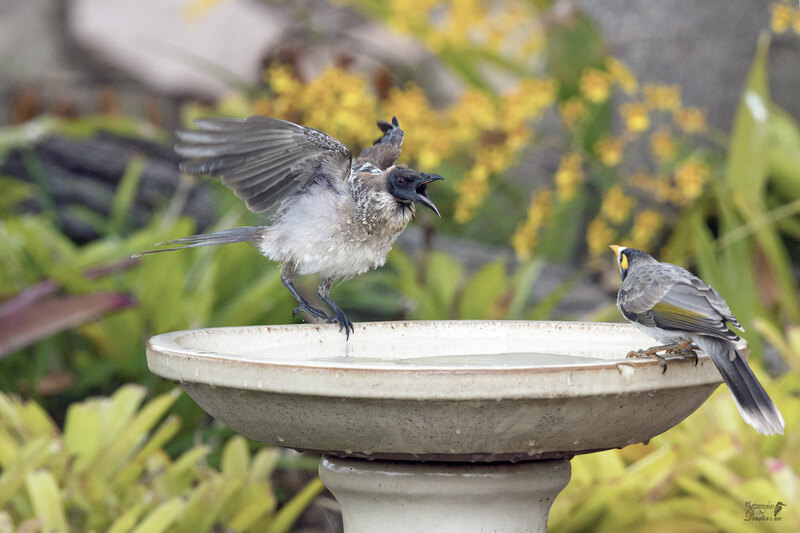 This Noisy Friarbird is telling the Noisy Miner what he thinks about him using his birdbath. Pheasant Coucal not welcome here. 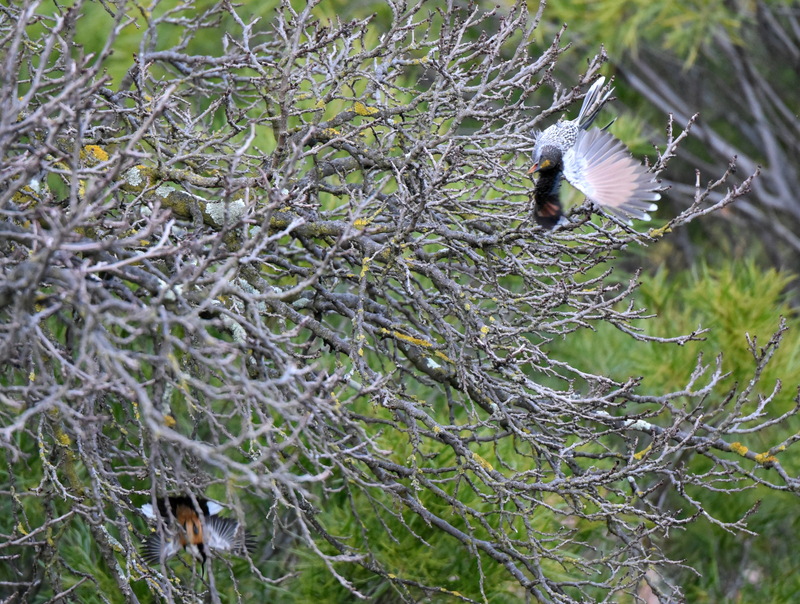 A Little Wattlebird showing an Eastern Spinebill who's boss around the place..